Love, is a place where our hearts have such a significant meaning to us. Presenting that into an image is what I love to capture. The bride and groom had just been married on the beach at Palmetto Dunes, located in Hilton Head, South Carolina.It was time to capture the couple and create some amazing images. I always look for the right light as it was falling perfectly on the back of the bride dress the groom kept asking me on how he should pose his hands, quickly I asked him if he knew how to make the love sign with his hands, as I watched him create it, I stopped him when he created it perfectly, then the bride quickly grabbed his hands and let her fingers on top of his. I quickly zoomed in and there this images of love was created. 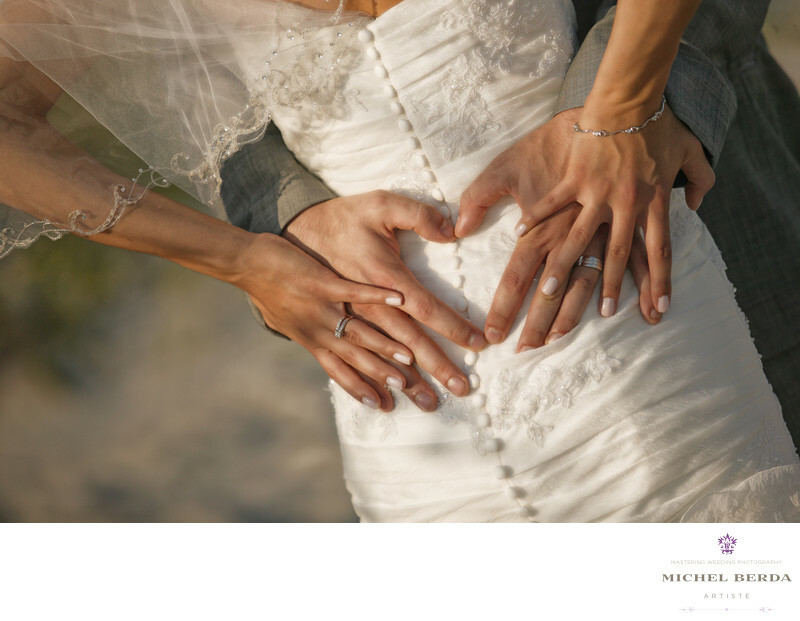 It is one of my favorite images, I have created for 2013, it is simple, yet very representative of a wedding, love, for this couple,on the beach at this venue Palmetto Dunes, in Hilton Head, South Carolina. This image is perfect in every way the mood, the back of the dress, the lines of her button going down from her dress, the true meaning of love with hands. A true love wedding image perfectly captured and edited to reflect just that. Keywords: Destination Wedding Photographer (117), Hilton Head Palmetto Dunes Wedding (12), Palmetto Dunes Hilton Head Sc (12), Palmetto Dunes in HHI Weddings (12), Palmetto Dunes Wedding in Hilton Head Sc (12), Palmetto Dunes Wedding Photographer (12), sc (309), Wedding photographer In Hilton Head (66), Wedding Photographers (198), Wedding Photography (123), Weddings (168).